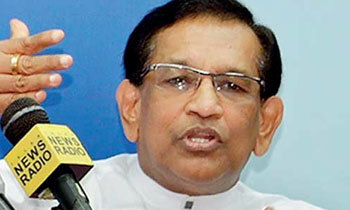 Minister Senaratne lamented that the first ever heart transplant surgery performed at the Peradeniya Teaching Hospital (PTH) in July 2017 was a complete success but the second heart transplant surgery was unsuccessful due to a tug of war between two groups of surgeons and added that compassion, love and dedication were vital qualities a doctor must be rich with if his or her treatment heals a patient. Sri Lanka is in urgent need of a brain transplant. He will walk the talk? I remember PET scan machine..
A kidney donation by a living person should be only permitted for a close relation like in western countries. I THINK SOME HAVE KIDNEYS IN THEIR HEADS. Can anyone donate a new tongue to this person so he could speak nothing but the truth?